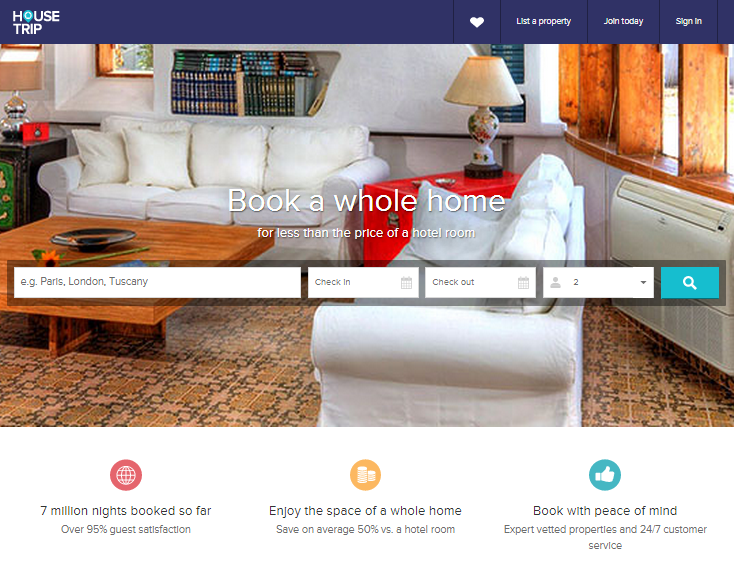 HouseTrip is a beautiful holiday rental booking website that offers thousands of affordable holiday houses and apartments throughout the world. It is ideal for families or for group of friends who need to book a whole apartment for that little bit more space. However, it’s not the cheapest option out there. HouseTrip was created for those who want something a little more comfortable than a hotel. With properties from a range of different styles and locations on offer, you can find somewhere that you really can treat like home. Due to the sizes too, it’s perfect for anything from a couples getaway to a family weekend. Visit the Short Term Accommodation in London page for all the best sites offering temporary accommodation.